Baby Boomer Davy's Locker: That's all I can stanz, cause I can't stanz no more! That's all I can stanz, cause I can't stanz no more! So today, December 8, 2009 would have been the 115th birthday of E. C. Segar, the creator of the cartoon Popeye. 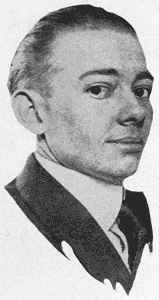 Elzie Crisler Segar (December 8, 1894 – October 13, 1938) was an American cartoonist, best known as the creator of Popeye, a character who first appeared in 1929 in his newspaper comic strip Thimble Theatre. - Wikipedia. To Baby Boomers, Popeye was the one-eye'd, huge forearmed cartoon sailor who had a strange relationship to a baby named Sweet Pea, and a girlfriend, Olive Oyl, who supposedly was not the mother of Swee' Pea and an antagonistic rivalry with Bluto. Also, there was Pappy, Popeye's dad or grandfather...who knows? Lastly, there was Wimpy, the hamburger chasing character who usually seemed innocent but mostly just got in the way for one reason or another. Boomers loved Popeye, in those days of after school cartoons and Three Stooges. There wasn't much on TV, which only 3 channels that signed off around midnight or 1:00 am until about 6 in the morning. I suppose that was really better because it made all of us look for other avenues for entertainment, such as playing outside, getting a bit of fresh air and exercise...something lacking for today's youth, unless scheduled and paid for. Popeye taught us, in a strange way, about right and wrong and how to handle a bully...by eating your spinach. Boy, I sure wished that worked when I was young. There was alwasys a neighborhood bully around that we would have liked to eat some spinach'k and beat the heck out of. Check this old Max and Dave Fleischer short and pay attention to all the noises and sound effects. I still think they are hilarious! Popeye had quite an unusual speech defect, where he liked to add a 'k to the end of many of his words, if you could hear them, as he usually mumbled most of the time. His arch enemy was Bluto, who just had to have Olive Oyl for himself and had to get rid of Popeye to make that happen. Of course, he had to beat the hell out of Popeye every time until somehow, Popeye managed to have a huge can of spinach, hidden in his shirt, or someone else tossed him a can. Did you ever try to eat spinish without preparing it in some way? It's not something you'd want to do, but we probably would have, if we thought we could sudden develop the strenth of Superman. So, check out some Popeye on Youtube and eat your veggies!